For me, one of the most important buildings in the magnificent City of Chicago sits on the corner of LaSalle Street and Elm. 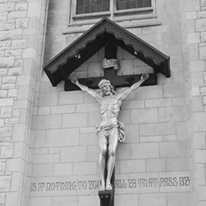 It is The Church of Ascension, the Anglo-Catholic Episcopal Parish in the Chicago Diocese. There is a bronze sculpture of Christ afixed to the front of the church, which faces busy LaSalle street. Underneath the sculpture is this inscription. Is it Nothing to You, All Who Pass By. Chicago, glorious in architecture and culture has at its heart a spiritual life that permeates this city of neighborhoods with its diverse religious and ethnic population. While visiting Chicago, I hope you can spend some time visiting the churches and synagogues of the city. 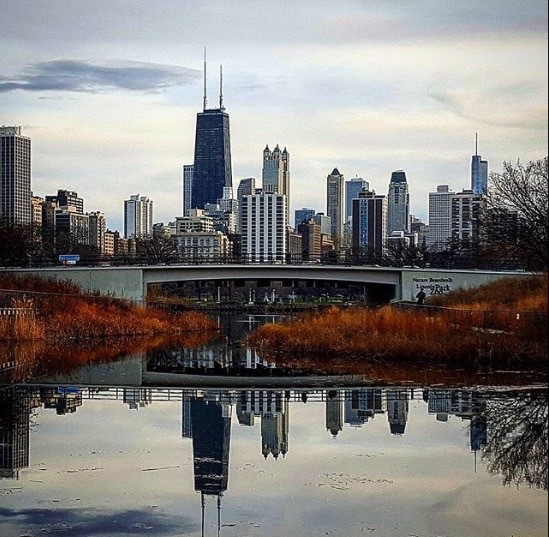 Chicago is universally recognized as the cradle of modern architecture and has long been connected with some of architecture’s most important names—Frank Lloyd Wright, Louis Sullivan, Mies van der Rohe, Holabird & Root, and Daniel Burnham, architect of the famous Rookery Building of the 1890s. It is known worldwide for the development, beginning in the late 1800s, of the renowned “Chicago School” of commercial building. In the early 1900s, Chicago saw the birth of Frank Lloyd Wright’s “Prairie School” of residential design, which gave rise to the modern, open-plan house we know today. The 1940s saw the completion of Mies van der Rohe’s revolutionary Illinois Institute of Technology and his Lake Shore Drive apartment buildings. Skidmore Owings & Merrill’s landmark Inland Steel Building was finished in 1954, their John Hancock Center in 1970, and their Sears Tower in 1974. Philip Johnson and John Burgee’s 190 South LaSalle Street office tower went up in 1987. This litany of names are responsible for some of the most beautiful buildings in the world. 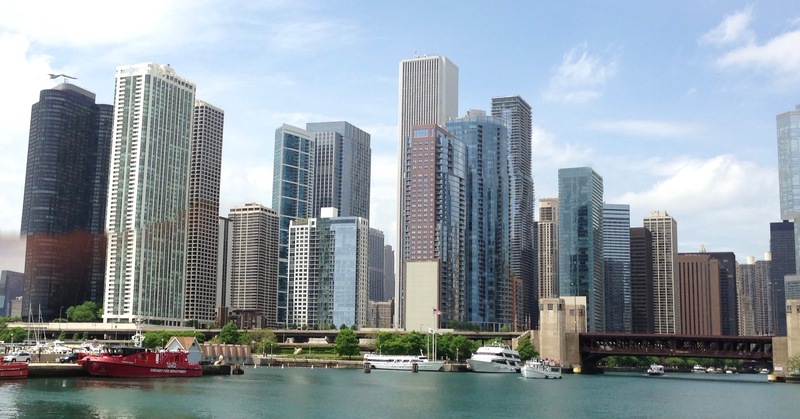 Google the Chicago Architectural Foundation and start your Bucket List in Chicago. 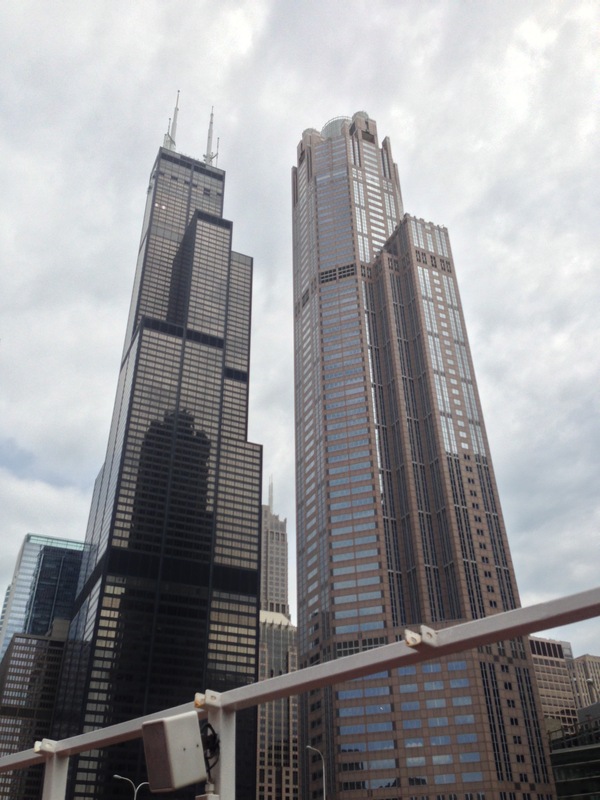 In June 2016 my husband and I took one of the Chicago River Boat Architectural Tours. It is a MUST! The 70 minute tour was information overload as far as remembering everything we were told, but the majesty and awe of what we were seeing from this unique vantage will never be forgotten. 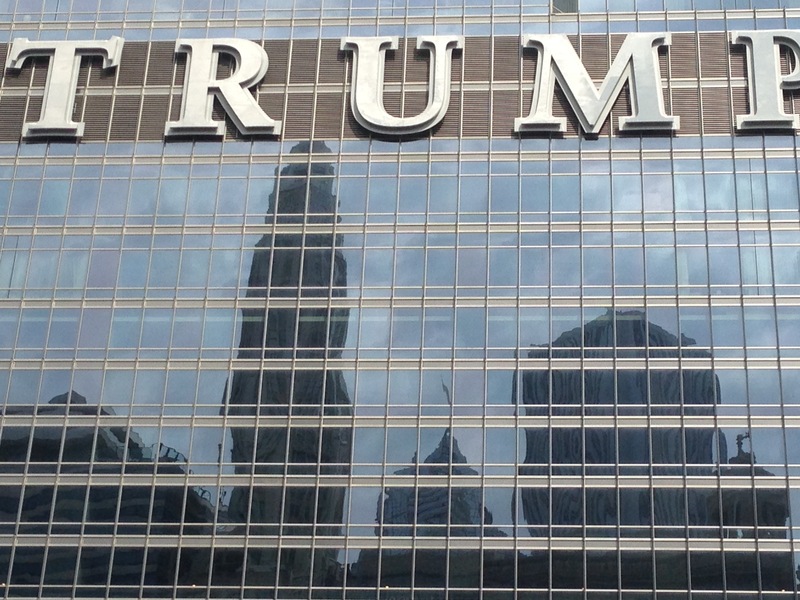 Beholding the famous buildings up and down the Chicago River, the new Trump building that appears to rise up out of the river as if some magical spell has been cast upon it, was an architectural fix I wish for you all. This entry was posted in A Passion for Architecture and tagged Chicago Architecture. Bookmark the permalink. Sadly we didn’t get as far as Chicago when we visited the US in 2014. It certainly looks worth a visit. Love the architecture in Chicago. One of the best tours we ever had was the River Architectural tour. The Merchandise Mart with it’s own zip code is amazing. It is definitely one of the best cities to study the work of great architecto. Thank you for the series. Though I used to live near Chicago and I’ve visited Chicago numerous times, I’ve never immersed myself in the city to the extent of checking out buildings and architecture as you did. I’d love to go back now and spend at least a few days exploring in greater detail. That river boat tour sounds like a great way to experience things. We’ve taken the architectural tour twice and could do it again. We have all sorts of pictures of the various buildings. Such a great history!